but that’s not stopping the two YMCMB affiliates from dropping even more music. The two rising rappers decide to put on the Leatherface-mask to mash out into the streets for their newest drop above “Chainsaw Massacre.” As a follow-up to Thugga’s debut“Take Kare” collaboration with Tunechi last week, look for Rich Gang’s official compilation album to arrive in the coming months. Young Thug and Rich Homie Quan may be fresh off the heels of releasing part one to their Rich Gang: The Touen more music. 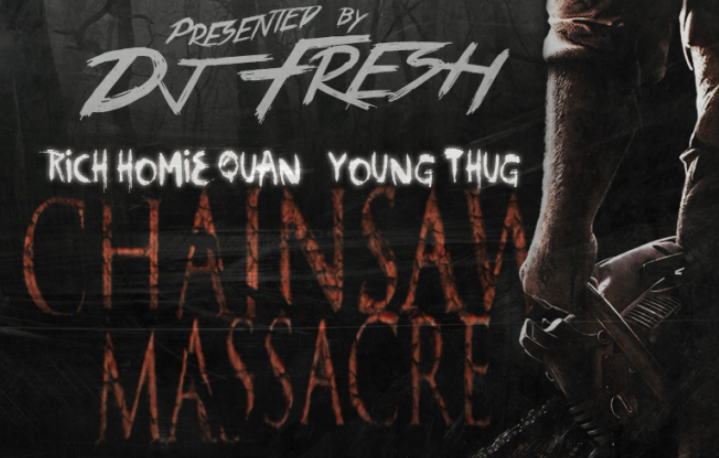 The two rising rappers decide to put on the Leatherface-mask to mash out into the streets for their newest drop above “Chainsaw Massacre.” As a follow-up to Thugga’s debut“Take Kare” collaboration with Tunechi last week, look for Rich Gang’s official compilation album to arrive in the coming months.